Our tour through the East of Sicily in 7 days, up to 14 persons. 3 double overnight-stays. Discover the pearl of Southern Italy by eBike, see evergreen mountains, valleys with lush vegetation, black volcanoes and mostly the sea, with its incredible colors and its clear floods, making Sicily one of the most beautiful islands in the world. 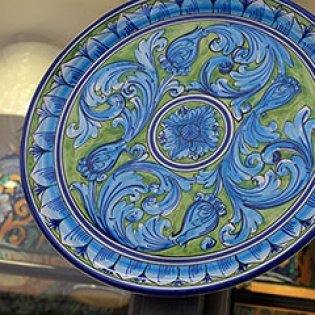 The magic is enriched by many archaeological finds that report on the antique origins of Trinakria. Any number of building monuments are silent witnesses of the time of epochs of great art and rich culture. Best hotels in country estates and palaces, great cuisine on the largest island of Italy. Discover Sicily at its best with pedelon; enjoy a comfortable bicycle tour full of authenticity and surprises. Arrival day in Catania: Saturday. Flights to/from Catania booked by you or by pedelon at your request. Directly from Munich and very good transfer connections from all larger German cities. From Munich you can reach Catania by train (also overnight train) in at least 21 hours with with two transfers. Direct motorway connection to Catania and ferries from Civitaveccia, Naples and Reggio Calabria. From Munich it’s an 18 hours’ trip (including ferry). 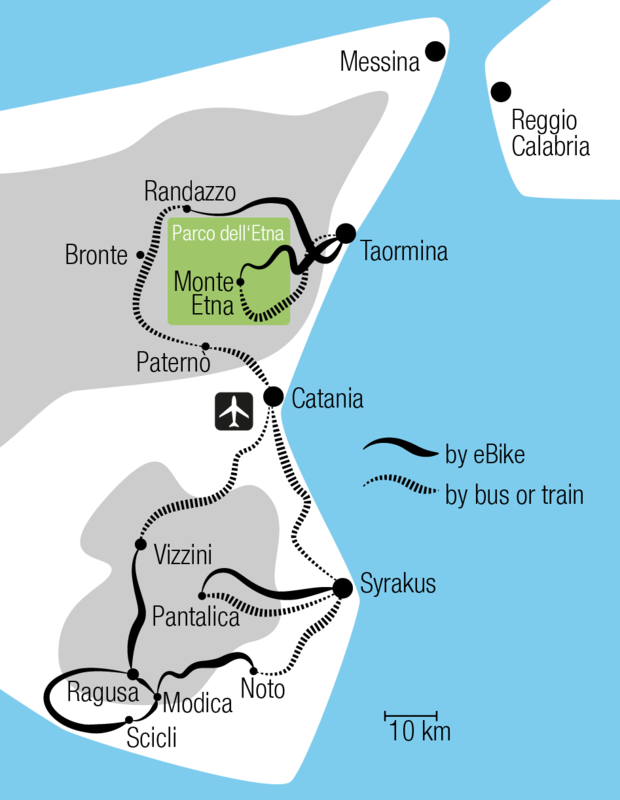 you can leave your car at the Catania airport during the bicycle tour (€ 50/week). With your booking confirmation, you will receive the “pedelon travel information”, which contains useful notes on travelling to Catania and other advice around your trip. Convincing architectural combination in the heart of Catania. The rooms in the „Hotel Romano House Luxury Hotel“ are available from 2 PM onwards. The recently renovated four-star hotel is centrally located in the old town. It is a skillful mix of historical building substance from the 17th century and new design. From here, you can reach the sights of the black town on foot easily. Use of lava stone as construction material can be seen in palaces, residences, churches, road paving and at the harbor of Catania. The antique theatre and the Roman amphitheater are also made of black stone. After the eruption in 1669 and the disastrous earthquake of 1693, Catania was rebuilt in the Baroque style of the 18th century. It has hardly changed since. A tour of the town will show you the most beautiful corners and teach you lots of interesting things about the impressive town at the base of the Etna. Meet in the hotel hall at 5:30 PM. Enjoy your dinner in the “Ristorante Me Cumpari Turiddu” with local specialties, located in the immediate vicinity. View of the old town of Ragusa. The first kilometers with heavy traffic will be bridged by bus. After the short drive, you will first receive your pedelon eBike in cozy Vizzini. You will continue across calm streets in a slight rise up to Monterosso Almo. This is particularly fun on eBikes. You will continue by bike through the picturesque landscape past the pretty artificial lake S.Rossalia, to Ragusa. Where you will arrive late in the afternoon. 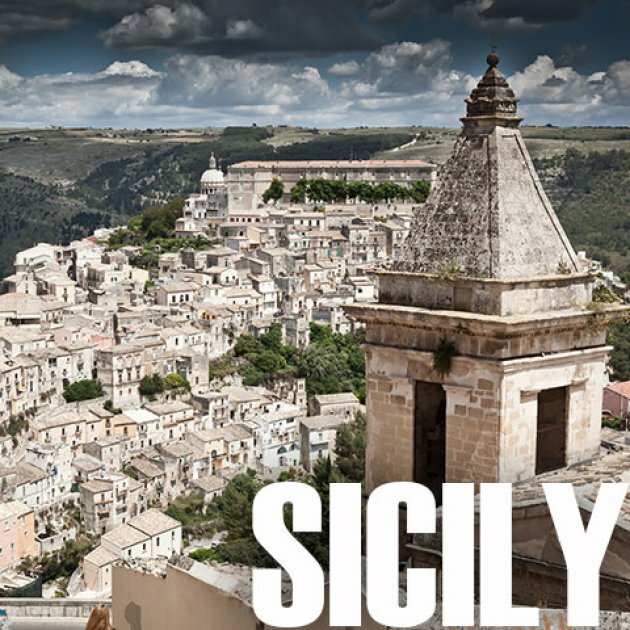 The small town on a hill is known for its Sicilian Baroque. The pedelon partner hotel “Torre Don Virgilio” is an elegant country estate in the Val di Noto with comfortable and tastefully furnished rooms (double overnight stay). 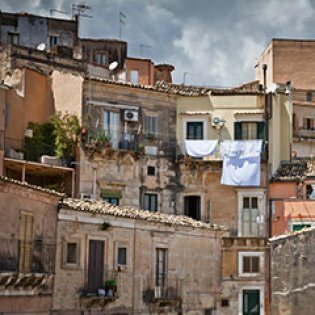 After a short ride into the picturesque, World Heritage listed old town of Ragusa, Marcello serves in his Ristorante “4Gatti” typical regional Ragusan specialties. Volcanic rock in front of turquoise water on the beach of Punta Secca. 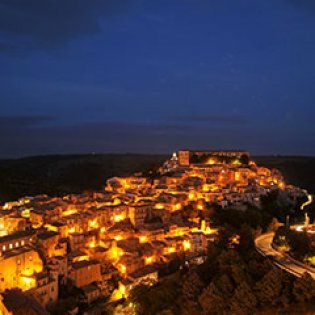 From Modica, the ride is down idyllic side roads slightly downhill towards Scicli, where you will arrive in the morning. Visiting the town that was destroyed by an earthquake in 1693 impressively shows the successful reconstruction in the style of Sicilian Baroque. Enjoy a Cappuccino on the Piazza before the city hall, reminiscent of „Commissario Montalbano“, the famous novel hero of Andrea Camilleri, who according to the author never has his espresso anywhere else. Always close to the sea, this leg will lead across Donnalucata and to Maritima di Ragusa, before continuing along the edge of a nature preserve to Punta Secca, where the beach near the Commissario Villa invites you to take a break. A slight climb to the Castello di Donnafugata ends today‘s cycling trip. A bus will take you back to the hotel in half an hour, where you can dine in style in the restaurant today. Today’s stage starts in front of the hotel and takes us in the direction of San Giacomo. Thanks to the batteries of the bike, the height difference to be overcome is a breeze. On the nearly abandoned high plateau, the cyclists will find a wonderful section of lonesome side streets crossing olive groves until lunchtime at Noto Antica, another pearl of Sicilian Baroque. After a short descent, we reach Noto, another gem of the Sicilian Baroque, waiting with „the most beautiful balconies in the world”, as it is said. 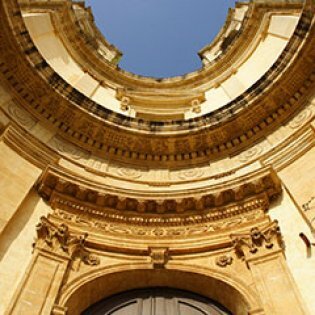 Noto was rebuilt in 1693 after an earthquake had completely destroyed the town. From Noto, you will reach Syracuse by taxi in about half an hour. In this town, which is rich with cultural monuments, the „Hotel Gutkowski“ will wait for its guests right by the sea. For dinner Dario invites us to his nearby trattoria “Spizzuliamu“. At the necropolis of Pantalica. Today‘s cycling section starts in pretty Buscemi after a short bus ride. Your eBikes will take you to Càssaro on side roads with little traffic and between small, idyllic hills. A downhill ride across 15 kilometers will take you to the forge of the Anapo river in several serpentines. The bicycle path meanders through the nature preserve „Valle dell´Anapo“ on the old train route and through a few short tunnels to just before Sortino. There, the necropolises of Pantàlica with approx. 5000 chamber graves are located. They are only accessible by foot in the slopes above the river. They are important documents of early settlement and used to be a place where the Sicans, the Sicilian indigenous people, withdrew to. After a lunch break in a wonderful Agriturismo the bicycle path goes across 20 picturesque kilometers to Floridia at the fringes of Syracuse. To avoid the traffic in town, we recommend taking the taxi for the last kilometers to the hotel. 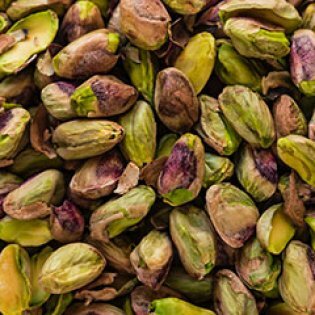 After a sightseeing through the alleys of Ortigia, we will meet at one of the best restaurants in town, where Stefano will present a subtle interpretation of traditional sicilian dishes. View from the window of the “Ferrovia Circumetnea”. After breakfast, the bus will take you to Paternò in about an hour. From there, you will round the Etna with the famous Ferrovia Circumetnea. 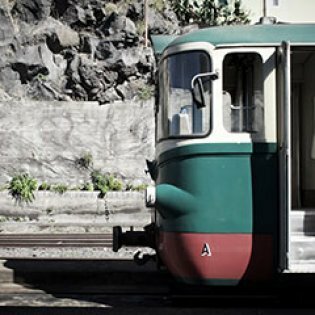 It is a memorable experience of overwhelming nature and nostalgic railway technology, past Bronte, which is famous for the supposedly „best pistaccios in the world“.From Maletto, you will continue by bike to Randazzo, where you will visit the vineyard of Giuseppe Russo. Its outstanding and organically grown Etna wines will accompany our picnic in the vineyards. 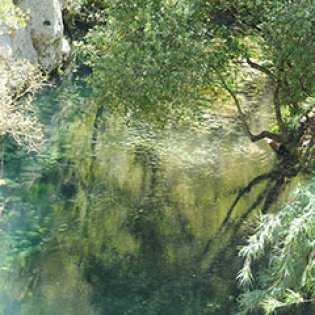 The remaining kilometers of this day start out across slightly hilly terrain to the „Gole di Alcàntara“, a nature park in the middle of a spectacular gorge cut into the basalt stone by the Alcàntara river. To avoid the traffic in town, a small bus will take you to the hotel in Taormina, one of the most-frequently visited places in Sicily. The hotel „Villa Schuler“, where Signore Schuler cordially welcomes his guests, is located fantastically with a view of the Etna and the bay of Giardini di Naxos. Through the magnificent garden of the hotel, you will get directly to the Corso Umberto, inviting you to shop with its stores while also a wonderful place to just stroll around. At its end, Daniele will be waiting for you in the „Il Giardino“ with taorminian cuisine. Crater landscape at the top of Etna. 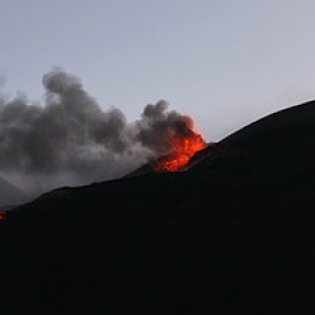 After an extraordinary breakfast on the sun terrace with a view of the sea, the bus will take you to the Rifugio La Sapienza, about halfway up the Etna at a height of 1986 meters. After a brief hike around the Silvestri side crater, which extinguished 100 years ago, you will have a spectacular view in all directions. After a brief downhill ride, you will soon reach Zafferana. In Milo, a picnic on the sun terrace with a view of the Ionian sea will top off this day. The remaining bicycle kilometers of the trip will lead through slightly hilly country with chestnut and oak forests before turning down to the sea across the sleepy Presa. At the beach of Marina di Cottone, you can top off this outstanding bicycle section with a glass of white wine or a jump into the Ionian sea. Back in the „Hotel Villa Schuler“, you will have a little time left before meeting for the last shared dinner in nearby Ristorante “Villa Zuccharo“. The patron will take care of a pleasant end to this eBike tour rich in experiences with an outstanding fish menu. View from Taormina to the gulf of Giardini-Naxos. After the city tour, where the pedelon guests are introduced to the old town with its ancient theater, the travel ends. Of course, the guide will be happy to arrange for further help, whether with the transfer to the airport of Catania, a return journey to the start hotel „Romano House Luxury Hotel“ or also the procurement of a rental care. The latter is particularly suitable for an additional holiday, the tariffs are quite cheap in Sicily. We had a particularly beautiful trip. It was the right decision to book with the newly founded pedelon Reisen. The composition of the Sicily tour showed us so many aspects of this island: The beautiful hills with lemon, orange and almond trees and little towns snug against the mountains (up and down was no problem with the great eBikes), the large cultural towns of Catania, Syracuse, Noto, Taormina, each with complete tours of the towns. One highlight was experiencing the Etna, snow-covered and warm under our shoes, surrounded by the blue-and-green Mediterranean under a radiantly blue sky. We particularly noted the carefully selected hotels; they were all well-kept and every night had its own character. And there were the culinary enjoyments! A different specialty every day in the country’s typical restaurants, and in between visually appealing as well as extremely tasty picnics. We have great praise all around for the sensitively guided and outstandingly organized bicycle tour that combined diverse sport and experience in best harmony as well! It was a great travel – one of the most beautiful ones we did with you as travel agents in Europe in the last 20 years. This is not only because we four got special attention from the organizers as the first guests of pedelon, but also because of the “hard facts” that we learned to assess based on our long experience with guided bicycle tours. About the hotels: It was very nice for us that there were several double nights. You should stick with this – also on other routes. It increases relaxation and recovery if you do not have to pack your bags every night and arrive in a new room every night. I had not expected luxuries, but I got them: Syracuse and Taormina were top of their class and are impossible to outdo. Syracuse is an old, perfect “Grand-Hotel” in which I as a cyclist felt a bit “underdressed”. Taormina is an outstanding family hotel in a unique location, with great breakfast and a very pleasant ambience. The hotel in Ragusa was also unique with its exuberant documentation, feudal halls, stucco ceilings, etc. The rooms were a little less “pico-bello”, but still far above average. If I write that the starting hotel in Catania was the weakest one now, it is both correct and unfair. How should a hotel placed centrally in a large city compete with the wonderful locations of Syracuse or Taormina? The hotel’s benefit is its central location, from which everything you may want to see can be reached on foot. It is an impeccable hotel as well. On the food: The quality and ambience of meals are essential aspects of a bicycle tour for me. I cannot evaluate the individual restaurants/trattorias here. How you like the food strongly depends on your own mood and condition after all. The emphasis on local cuisine (instead of international star cuisine, for example) is completely right and introduces guests to the very tasty local specialties. The quality and originality of the food was very good. The always-offered choice between fish and meat was pleasant. The wines were good, typical for the country and not expensive at 15 to 25 € per bottle. About the bicycle routes: The use of eBikes made the otherwise often unavoidable bus transfers before rises unnecessary. Even if you are not used to a lot of exercise, you can master any hills at an appropriate speed. The transfers you had (out of Catania, into Syracuse, up to Taormina) are unavoidable. No one will find them, especially as they are at the beginning or end of a bicycle day, instead of in the middle of one. I remember all routes to be diverse and easy to ride. Even though it is exhausting for the braking hands to ride down the 2000 altitude meters from the Etna to the sea, you must keep this tour as it is. The view of Taormina and the approaching coast are something we will never forget. was enjoyable, without stress and great physical exhaustion. This way, Sicily is very enjoyable. Everything worked wonderfully thanks to your outstanding planning, great logistics and outstanding support. We would like to thank Roland and Jörg for their great work. I am certain that we will return next year. A clip from Luchino Visconti’s 1963 classic “Il Gattopardo” (The Leopard) stunningly restored in association with Cineteca di Bologna, L’Immagine Ritrovata, The Film Foundation, Pathé, Fondation Jérôme Seydoux-Pathé, Twentieth Century Fox and Centro Sperimentale di Cinematografia-Cineteca Nazionale – restoration funded by Gucci and the Film Foundation.